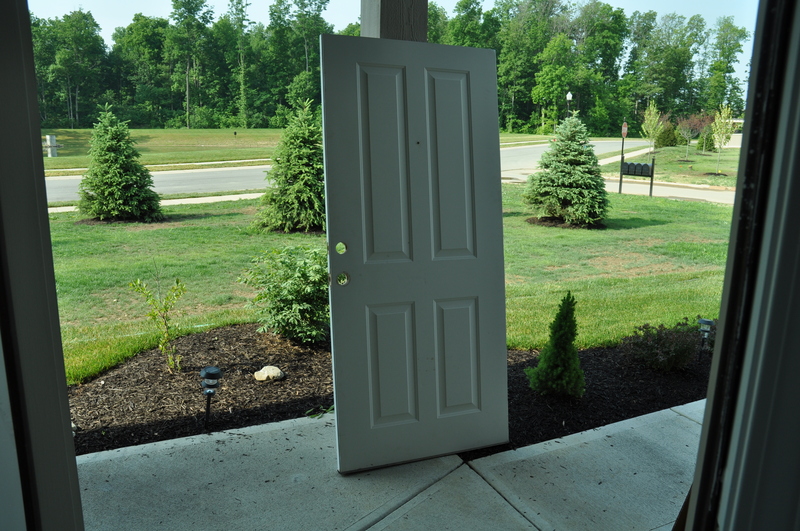 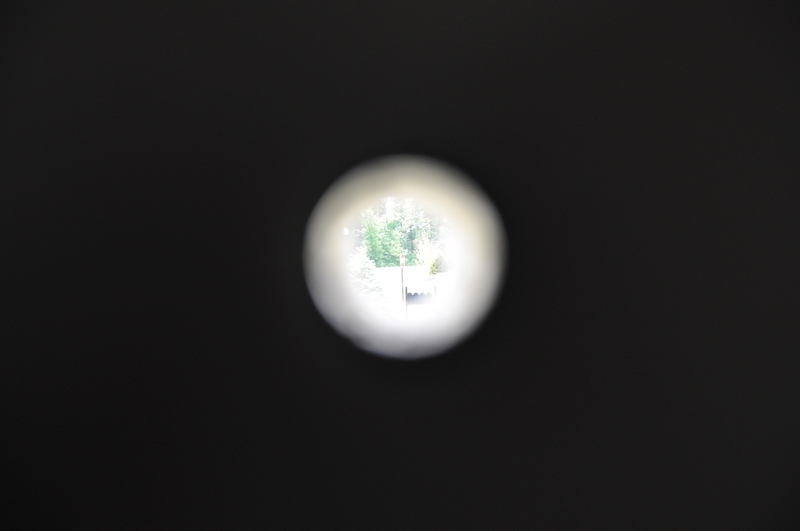 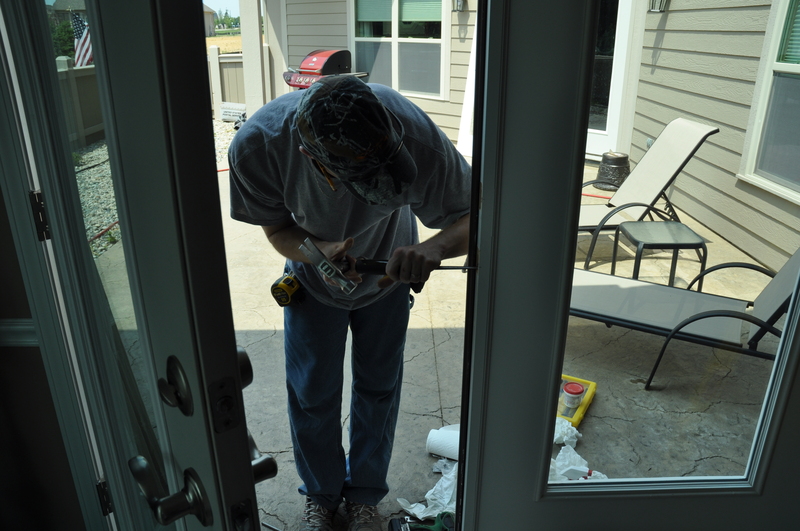 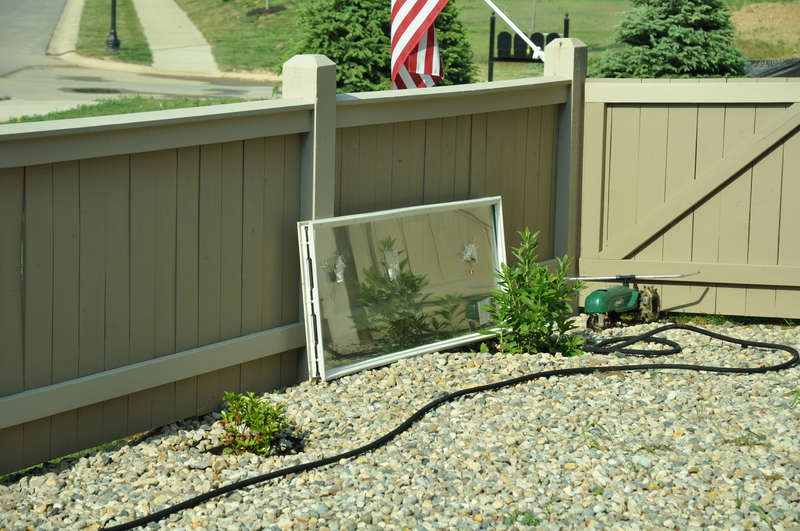 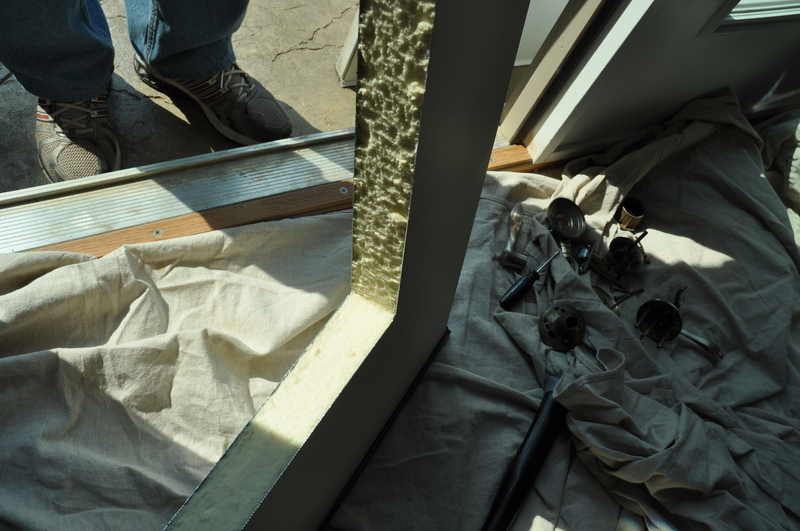 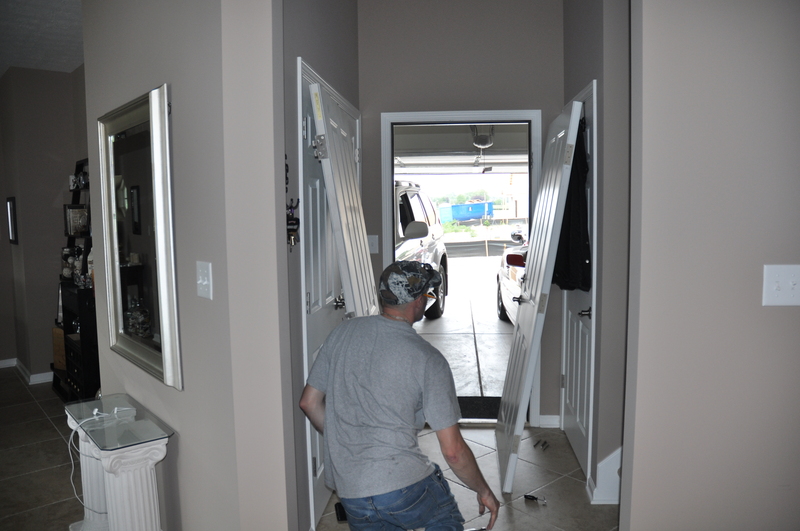 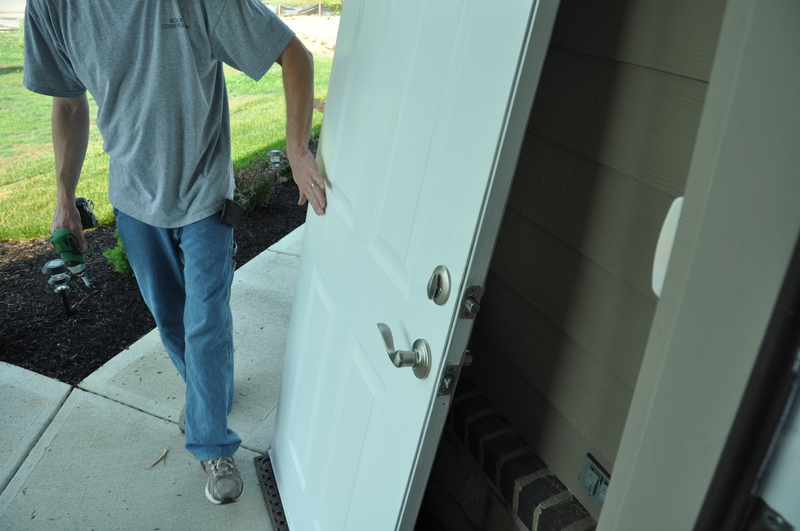 When the dead bolts were initially installed in our exterior doors, the doors cracked and did not fit properly in their frames. 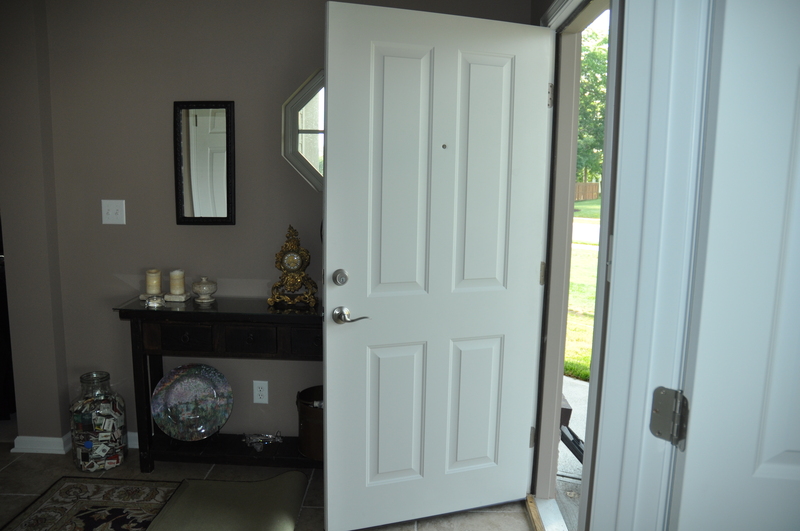 So, the agreement has always been to replace these doors in the spring. 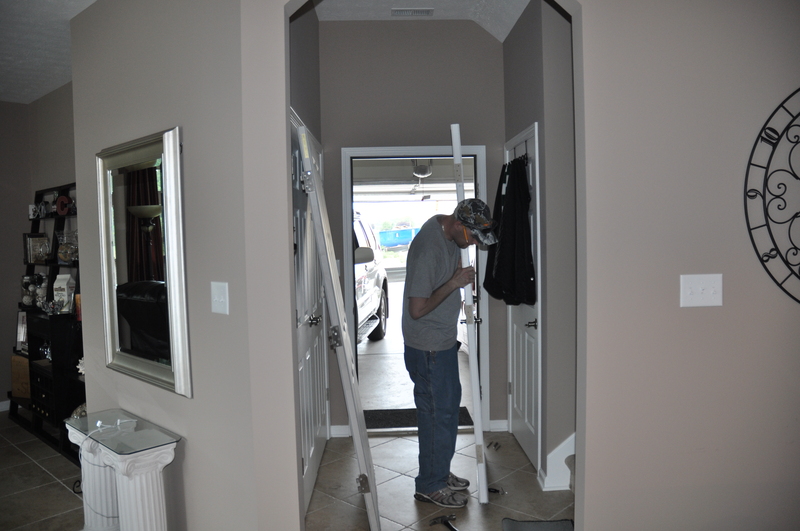 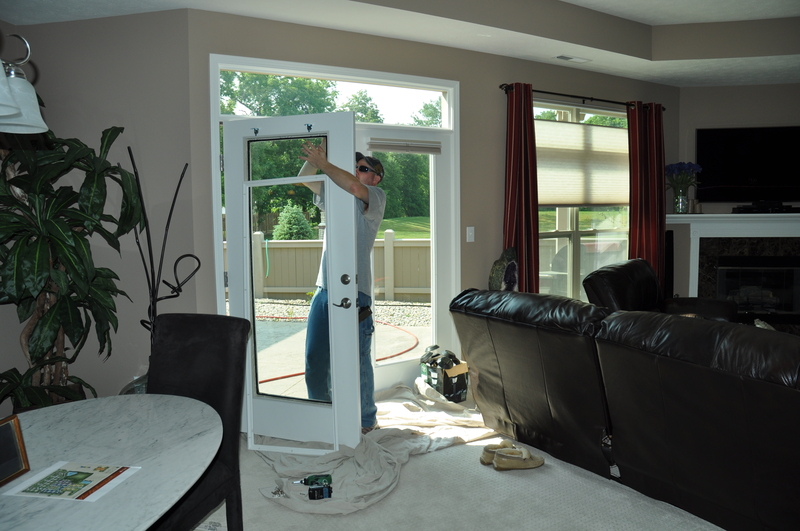 A couple of weeks ago, Mike and Dennis came over with the first set of replacement doors, and began the installation only to find that the new doors were not drilled or mortised properly. 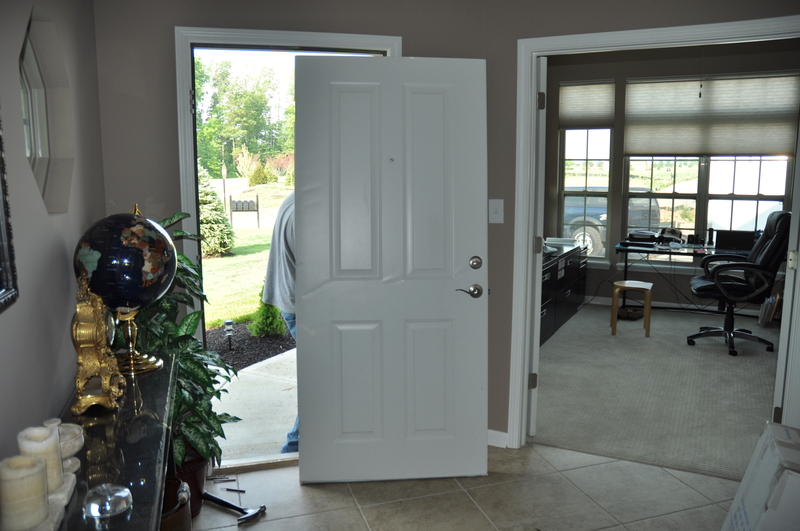 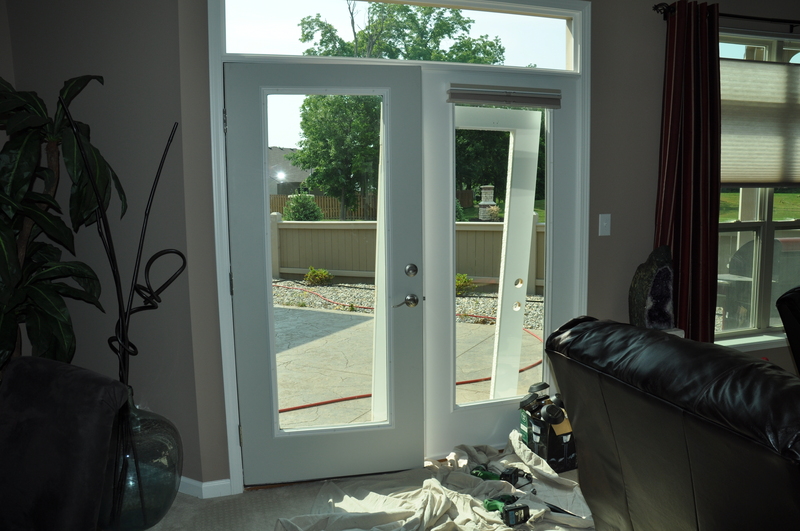 After this false start, we ended up that day without any new doors. 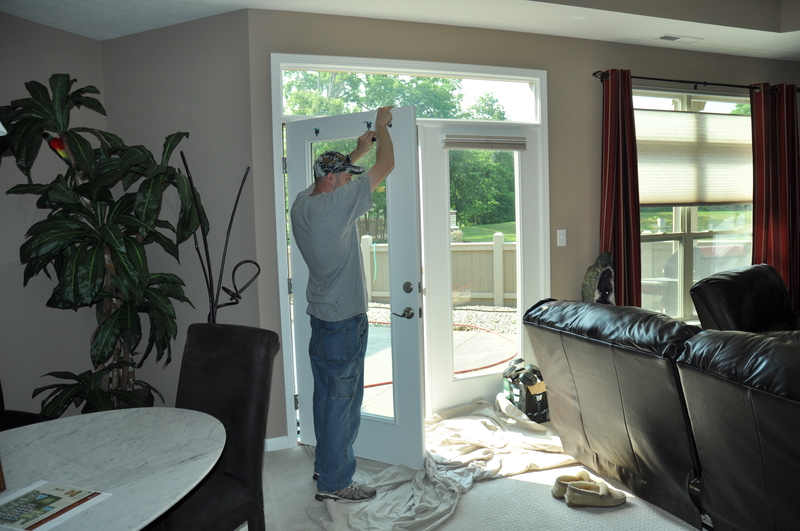 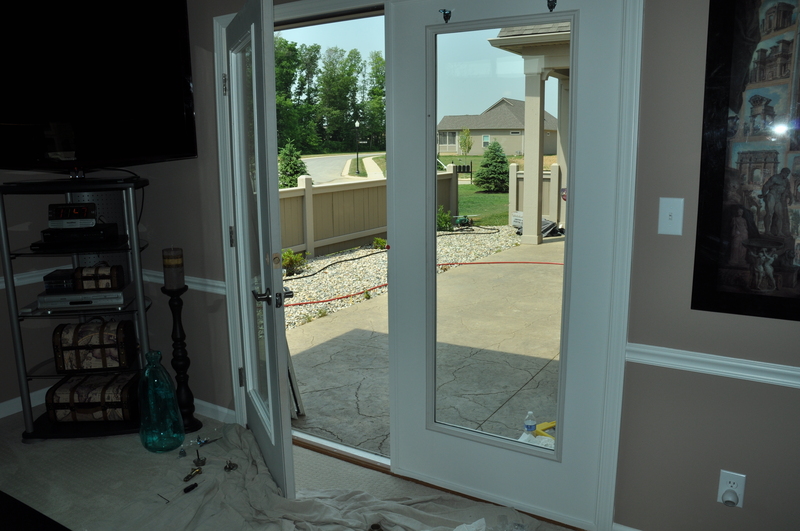 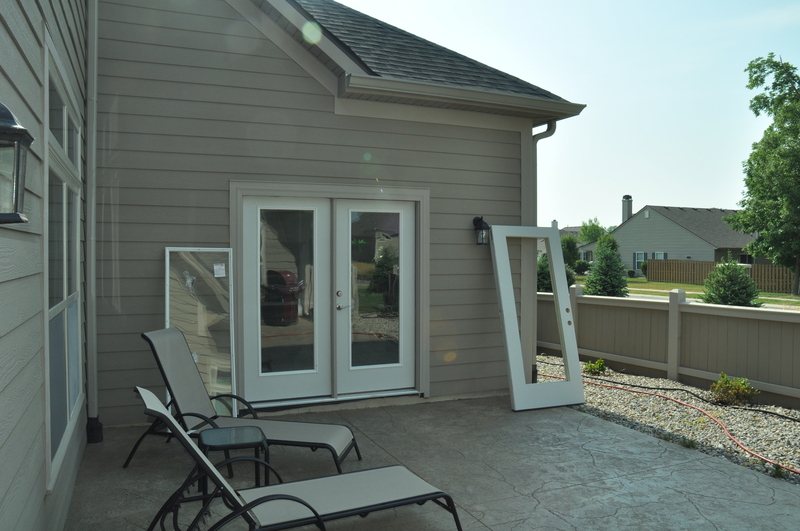 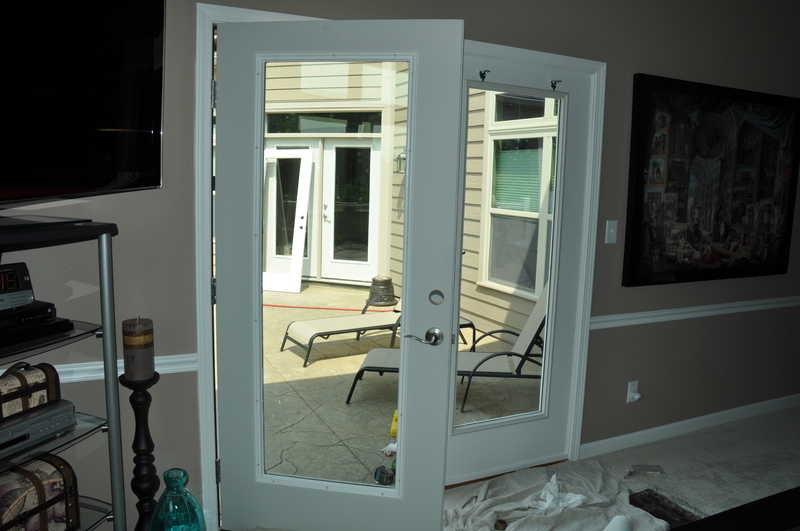 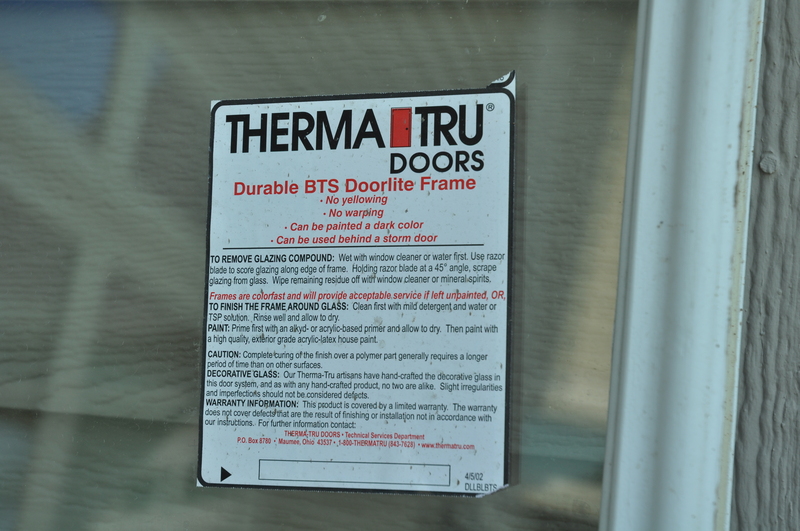 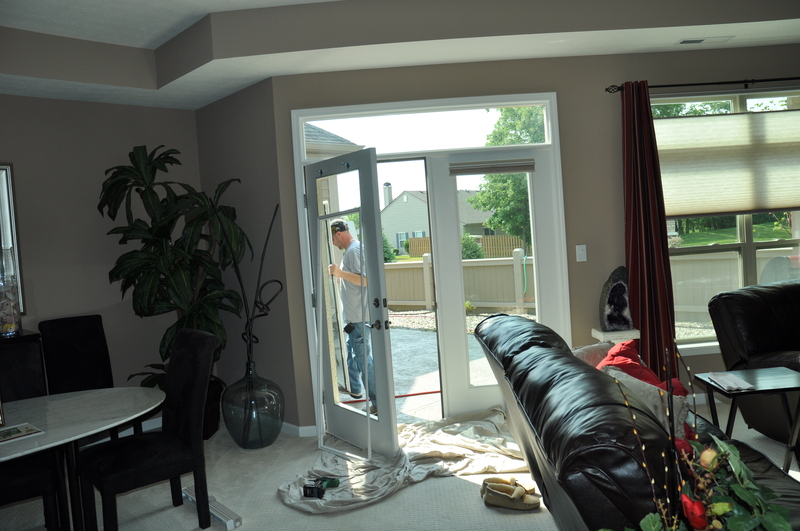 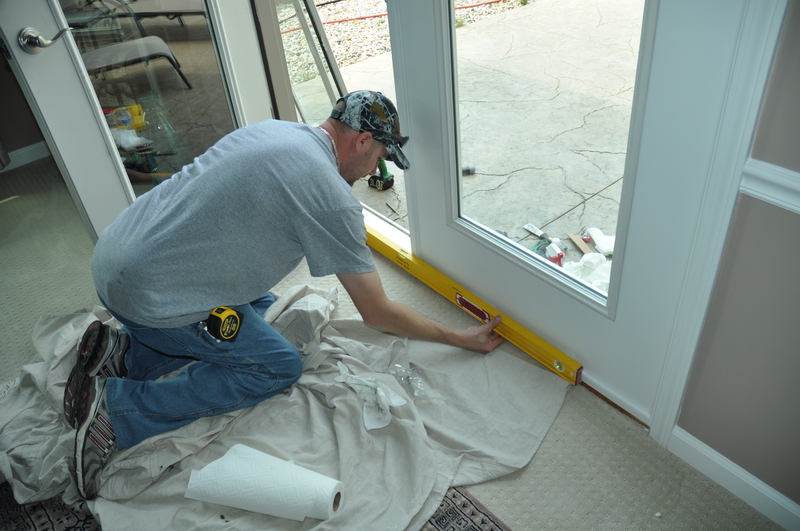 Yesterday, a holiday weekend Saturday no less, we were sent a THERMA-TRU-certified technician, Jessie, to install the right new doors. 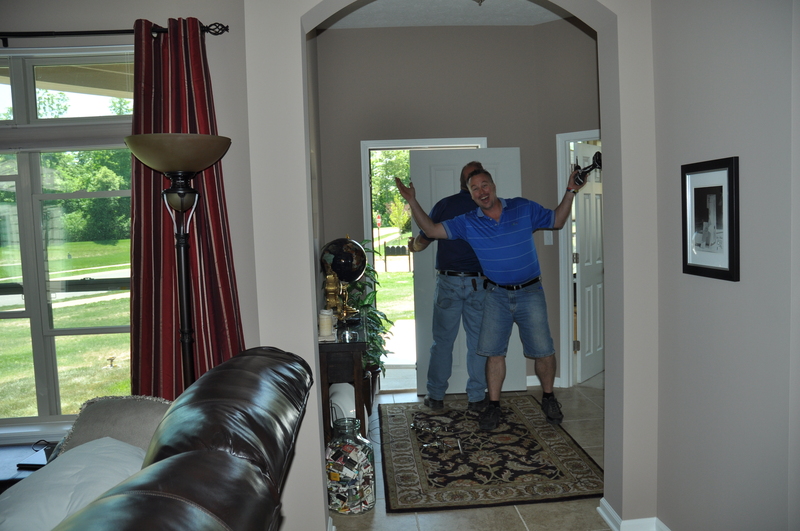 He did!